Published: Dec 24, 2016 to ? Miko leaves the house of her parents to live in the house of her uncle who runs a shared house, but her first meeting with Matsunaga-san is not good and then discovers that he is one of her uncle's tenants. Even as a secondary student, she surrounds herself with university students who have a very different life from her own. Can she fit in that shared house? Living no Matsunaga-san has been published digitally in English as Living-Room Matsunaga-san by Kodansha Comics USA since December 19, 2017. Put those drama/romance manga on hold, read a fluffy story instead!! I'm sure every romance lover would enjoy this story as it evolves around one-sided towards mutual love. From the beginning it shows that there will be nothing special in the plot, only slow love developing between the main heroine Miko and Matsunaga. Nothing else. Their story of falling in love looks so natural it will make your heart melt!! The art style is fluffy and... hmm, how should I put it? It has a tasty feeling... Cute maybe?? (you'll get the ''tasty-cute'' joke once you read chapter 3 or 4). While we learn more and more about Miko and Matsunaga every new chapter, the side characters are forgettable at best... That is until recently, when we got some info about one of the tennants. Hopefully, we will get more on the characters lives, but I don't think it will happen as the story is mostly targeted towards the romance story. Personally, I think this should be a great read if you're a romance lover or if you have a really bad day. 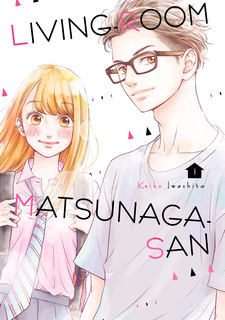 If you like Shojo/romance, you'll love Living no Matsunaga-san. It feels very familiar to read and the plot is building nicely. The story follows a 17 year old high school girl Miko. Miko moves into a share house of 6 adults and quickly bonds with 27 year old Matsunaga and the story builds to a tense romance. It's pretty fluffy but if you like fluff and Shojo like I do, then I think this will be a good pick for you. The art is very good, something strange that I've noticed is the fashion of the main characters is a lot cooler than in other Shojo manga. With Miko rocking adidas, nike and even a pair of chuck taylors. Is that a strange thing to put in a review? I think its a nice touch though. Its nice to see characters who wear things other then "cute" date clothes and school uniforms. The story isn't necessarily unique, it reminds me of "Dengeki Daisy", "Futari no Table" in terms of the age gap and "Taiyou no Ie" a lot in terms of plot and the art style is similar to "Ao Haru Ride"
So if you've enjoyed any of these you might like this one. The only thing I can say is that Miko is yet to develop more of a character than the typical "I'm a high school girl in love" I'm a bit sick of this trope and would like too see more characters like Yona from "Akatsuki no Yona" who have fully built personality and goals that go beyond "I love this guy" but we are still early in the story so we'll see! At least she can cook, unlike her Shoujo predecessors! 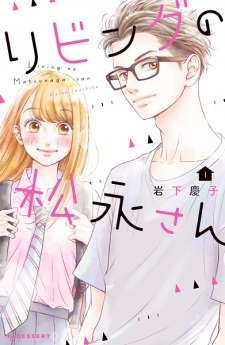 Looking for a fun, modern, age-gap romance, from your shoujo manga? This one's for you! Meeko, a cheery high school student, moves into her uncles boarding house after her parents leave to care for her ailing grandmother. She's excited for the independence. The only hardships ahead of her include learning to cook balanced meals and using the washing machine on her own. Luckily, the boarding house has five other tenants. The catch? They’re all young professionals. Meeko can’t help feeling exhilarated by her cool new life surrounded by sleek furnishing and roommates whose lifestyles are so different from her own. Often arriving home late from work, or not at all, the adults run on totally different schedules from a high school student. On rare occasions when everyone is together they include Meeko in the fun. Through them Meeko glimpses what her future could be like & can't deny she wants to grow up fast. There is, however, one tenant who is always home. Matsunaga (27) is a freelance graphic designer, who has a habit of using the living room couch as his office. Matsunaga takes Meeko under his wing. He can be pushy and stern with her, but through his guidance she learns to do all her own chores quickly. He also keeps an eye on her, making it impossible for her to hide the fact that she needs help. He behaves like a concerned older brother. Oh, and his room is located right next to hers. Unfortunately for Meeko, the more Matsunaga is kind to her, the more she can’t ignore the crush she's developed on him. This is a strong first volume. The setting and character personalities are established quickly, so it was easy to become invested in the plot. I was excited to see what situations they would get into. I enjoyed everything in this first volume. The story unfolds logically. Meeko’s circumstances for moving are realistic. The personalities of all the characters are believable. And the overall atmosphere is playful and modern. As the reader, I even felt a sense of wonder, like "Wow, it would be fun to live there." Meeko's crush on Matsunaga develops quickly, but it’s justified. Rather than slap us with shallow insta-love right away, the mangaka takes the time to show us what Meeko see's in him. Even when he's pushing her we realize Matsunaga means well. He's treating her like an adult, rather than like she’s a helpless child. At the same time he can be playful. Even immature, like when the housemates tease him. The mangaka does not rely on cheap tricks to get the characters flirting. There is no blackmail plot. Matsunaga has no ulterior motive to helping her. He's just a nice, capable, guy who happens to be there. The way Meeko handles her crush also feels authentic. Again there's no gimmicks used to create tension. She doesn't start plotting a way to win his affection, or make him jealous. Rather, Meeko struggles against her growing feelings. And the tension becomes about her keeping them secret, afraid that if she let them slip things will be ruined. Meeko's character has some agency and proactivity. Like when helps Matsunaga with his newest design, cooks, and cherishes the gift he buys her. She wants to become a good housemate. Everything is complicated by their proximity. The mangaka finds new ways to play off this central conflict. Raising the stakes for a potential romantic development between them. Will Meeko accidentally confess? Will Matsunaga’s friendly intentions cross a line? The mangaka, Keiko Iwashita, manages to build this tension wonderfully out of ordinary life. The side characters all have distinct personalities and create a complimentary atmosphere to the romance plot. Especially Asako and Kentaro. Asako is beautiful, kind, and very fashionable. Meeko looks up to her as the perfect example of how an adult woman should be. Kentaro is the resident ladies man who will make the uncomfortable jokes about Miko and Matsunaga flirting. Meeko's Uncle doesn’t have much presence on the page, but the mangaka does give him a convincing reason for not living in the boarding house he owns. He is caring towards all the tenants, but I wonder what will happen if the romance plot progresses under his roof. The other two tenants are Ryou, a collage student, and Akane, who might be the quirky female. They don't have much presence in volume one, but they get more page time in volume two. Chapters end with funny commentary from the house cat, Sabako.